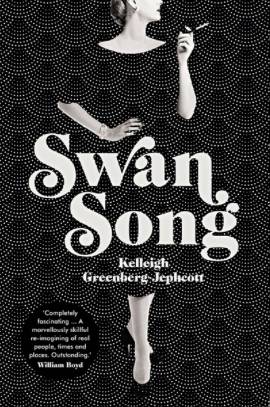 This book is about Truman Capote and his “swans” – a group of rich, some famous, gorgeous women with whom he hung out. The twist in the tale is that he then wrote a tell-all piece in Esquire magazine, sharing their darkest secrets. They were incredibly pissed off about it, as you can imagine. This is not a new idea for a book, but from the others I have glanced through, it’s probably the best. I enjoyed it very much, though at times the nostalgia was kind of unbearable. Though I must say I think I might give up reading the Acknowledgments sections of books; I always assume that any writer of anything will be just like me – an unclubbable loner who can barely talk to other writers for fear of feeling second-rate, unsuccessful and judged. Hana Yanagihara and Leandra M Cohen for always being there 4 me on WhatsApp” and I just think BAH and have to buy something online in order to cheer myself up. Oh the acknowledgements thing gets me every time too. I have to read a lot of academic books for my job and even they all seem to be written by someone who’s besties with Zadie Smith. She must be very friendly, that’s all I can say. Loving the new spike, have been enjoying your blog and Instagram for some years, brightens my life!! I have to read this. It looks really good.